While relationships are essential to human nature and allow for a deep emotional connection to form, they can often be tricky, time-consuming, and emotionally exhaustive. A barrier, be it physical or emotional, can seriously derail the progress of a relationship and make it stagnant. One big problem that starts from physical distance, and may, unfortunately, lead to an emotional downfall, is the frequent travels of one or both partners in a relationship. The physical separation accompanying such journeys can make the challenges of maintaining a relationship even more difficult. Keeping the fact that such travels may prove to be necessary for modern jobs, this article helps people in long distance relationships, or those that are just separated from their partners for regular periods, stay close to their significant other and maintain their relationship. While technology makes long-distance communication and relationships possible, it is easy to use this technology mechanically, and not in a way that reflects real life interaction. Experts at Click Pharmacy say that technological communication needs to be used with the utmost delicacy to do well and prevent harm to relationships, especially when they are in the precarious position of being long distance. They suggest these five ways to help maintain a healthy relationship with your partner if you are a frequent traveller. While the need and importance of communication, especially in a long distance relationship, seems like an obvious choice, it is the different matters on which and the different ways with which communication is done which are most critical. First, the different ways you can communicate with your partner while travelling is to have designated talk time. This can be at a time convenient for both the people. Allow flexibility in setting this time and do not assume that since the partner is at home or in their usual routine, your routine should take precedence. Ask them what time suits them and settle on it accordingly. Keep reminders, and in case you cannot make it for the talk time, let your partner know well in advance. Another important form of communication that most couples often forgo is keeping each other updated about the small happenings throughout the day. This could be a short text about one person reaching a place or finding out about the weather in the other person’s town. It also helps to keep the flow of the communication going. The second important thing about communication is the content of this communication. The person who is travelling is encountering new things all day and tends to override the conversation with this new information. If your partner does not have anything new in their routine, they can discuss, make sure to indulge in an activity together, so the conversation is about both the people. Talk about the potential issues that can arise due to the travel rather than shutting out any conversation about the difficulties and expecting your partner to understand the situation. Ask your partner how the frequent travel makes them feel. Address their feelings by making slight changes in your routine to make your partner feel wanted, understood, and validated. Any issues that have come up in your day to day life should be kept out of mind and out of the conversation when you settle down in your designated time to talk. Unless these issues are really big, you should not bother your partner who is already travelling and may have to face inconveniences every day. Similarly, the partner travelling should bear in mind that constantly complaining about these inconveniences can make the other person feel neglected. Sometimes a small gesture goes a far longer way than many hours of conversation. You could get a bouquet delivered to your partner at work to remind them that you are thinking of them. Getting food delivered or even taking care of household responsibilities, like paying bills while you are away, are good reminders for your partner that you are available and concerned about the relationship. Partners often feel excluded when their significant other is always travelling and experiencing new things. It creates a feeling of having missed out on experiences together. An excellent way to help remove these feelings is to encourage activities that both of you do independently. This will ensure that while you have your adventures to recount and share, your partner also has something to share. Experts suggest that this can give your partner a feeling of independence and remove the negative thought of being left behind. You should start doing these activities while you are not travelling to encourage this feeling of independence. This can be a small thing like reading a book or going out to see a movie. While you are away, make plans for when you are going to be together. This tells your partner that you are involved in the relationship even when you are away. It creates anticipation and excitement around your return, and your partner feels like they are getting something good and positive from this separation. When going through with these plans, be sure to be present in the moment by removing all the things from the trip from your mind. These plans can increase intimacy and reduce the feelings of loneliness that may creep into a relationship where one partner travels frequently. While long distance relationships or relationships with a lot of travel can sometimes be a little challenging to manage, with the right effort, they can bring the partners closer together. The focus on communication and the desire to make the other person feel that you are available are enough to spark a feeling of love. 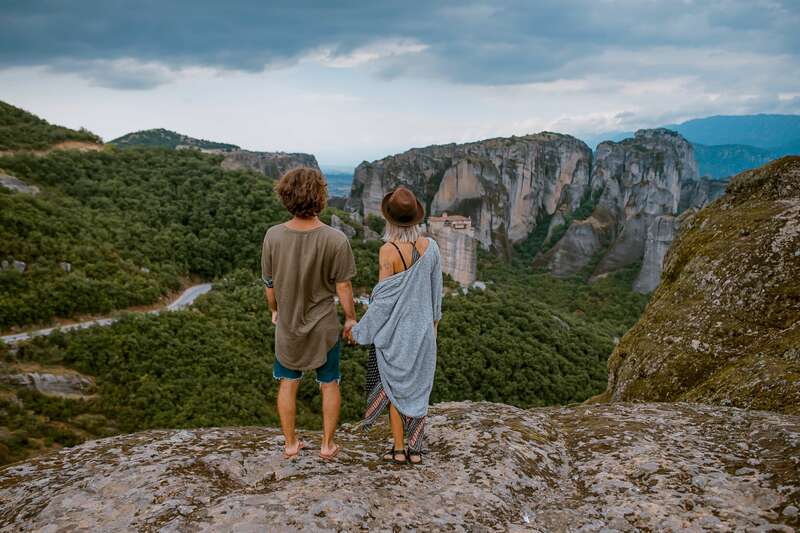 With the expert knowledge we have seen that these five ways can help you maintain a healthy relationship with your partner even if you travel frequently.